In early June 2017, an academic workshop took place in Leiden, the Netherlands, to stimulate research bridging the natural sciences with the humanities and social sciences. Forty-five international scientists joined from the fields of art history, archaeology, conservation, musicology and anthropology. Its goals were to reflect on reconstruction, re-enactment and replication (RRR) practices in research, and to learn from each other’s approaches and experience. Approaches to RRR have been developed within the disciplines themselves, and until now, cross-disciplinary connections and discussions on methodology are a rare exception. Insight into performative methodologies requires a practical component. Therefore, besides lectures and site visits, the program consisted of practical hands-on workshops, serving as an exercise in documenting and communicating, fed discussions about disciplinary characteristics and practices, and allowed participants to reflect upon the role of sources for the reconstruction process. One of the leading themes of the week was “what is technique and how is it transmitted?”, not accidentally the theme of one of the organiser’s projects (Archtechne, technique in the arts 1500-1950). The keynote lecture on conservation was given by Leslie Carlyle. She discussed analysing paint of van Gogh’s paintings – microanalysis and attempts of replicating paint using old recipes. The nature of the paint and the tools used dictate the paint behaviour. Carlyle found it hard to find a common language to describe experiences from her experiments: it was much more complex than she had assumed. She concluded that you can never be sure if you document your experiments well enough as you do not know what part of the information is vital. Jill Hilditch kicked off a series of short presentations on digital technologies in archaeology with her investigation of the transmission of knowledge about Bronze Age ceramics in the Aegean. Experimental archaeology is a very systematic approach to the production and use of ceramics. 3D scanning and analysis is helpful for research, but digital techniques are also an excellent means to involve the public. Sorin Hermon showed excavation diaries, or better: web based virtual environments, models you can interrogate. The danger is that people will only want to use (and fund) such tools because they are fashionable or innovative. It is best not to be an early adaptor. Dell’Unto’s presentation built well on the previous speaker, mentioning the friction archaeologists experience between science and the humanities. He had some great examples how you can address questions to a 3D model, especially if the underlying interdisciplinary database is well structured and you add sufficient information. One should record all archaeological details into the database as well as layers of interpretation. The aim of each model should be clearly stated. Archaeology is about complex data, therefore your model needs to be robust; an holistic approach with much more options than a traditional report. 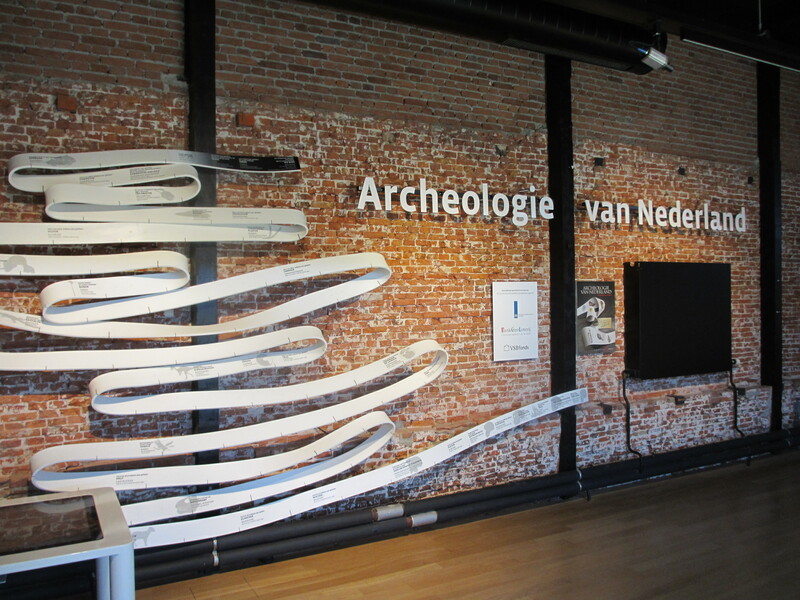 3D models change archaeology in a dramatic way. Wim Hupperetz gave the keynote lecture introducing archaeology from a museum point of view. He argued that we do not need more screens in our museums but integrated solutions. We should not simplify the past but show its complexity. Heritage is complex and dynamic, but its visualisation is often static. Too often, we only show nice results instead of the work in progress. We do not engage the audience enough. Museums are an interface, not the good old authority. Another round of short presentations was about musicology. Reconstructing a fourteenth-century organ and placing it in the church where the original used to stand prove to be a failure because the church had changed a lot. Even if the sound would be all right, the audience is so much different, and so is the interpretation. Are musical instruments art objects or tools? If you would restore an instrument, would you like to be able to tell the full story of it, or restore it to an earlier stage so it is playable again? Obviously nowadays musicologists choose the first option. We can interact with the past but not recreate it. 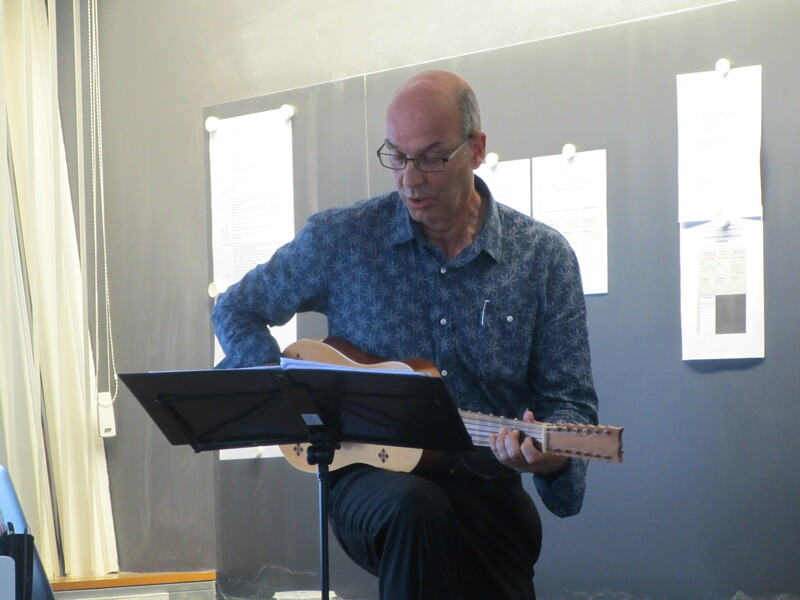 Willem Mook attempted reconstructing a sixteenth-century music piece but clearly stated how much of this process was interpretation, and not factual. Part of the reconstruction context is our own framework of references. Rebecca Wolf presented the keynote lecture on musicology discussing experiments from the 19th century in building musical instruments as surrogates for the voice. She presented anecdotal stories about aluminium violins and Plexiglas string instruments. Both examples were about businesspeople wanting to advertise their new materials through musical instruments. Petra T. Kalshoven then followed with an anthropological keynote presentation. In the early history of her discipline, anthropologists like Boas learned about their subjects through embodiment. The analytical distance to the subject was not evident. Re-enactment was used as a tool for remembering. Kalshoven then turned towards Indianism in Europe, the study of eighteenth and nineteenth century Native Americans through active reconstruction, replication and re-enactment in the present. Several mismatches exist: in geography, in time as well as an ethnological mismatch. In these groups of Indianists, the distinction between replica and original blurs when they are talking about ‘authentic replicas’ or as they say: “we make our originals ourselves”. The most important Indianists are a role model to others – people rather investigate colleagues than original sources. 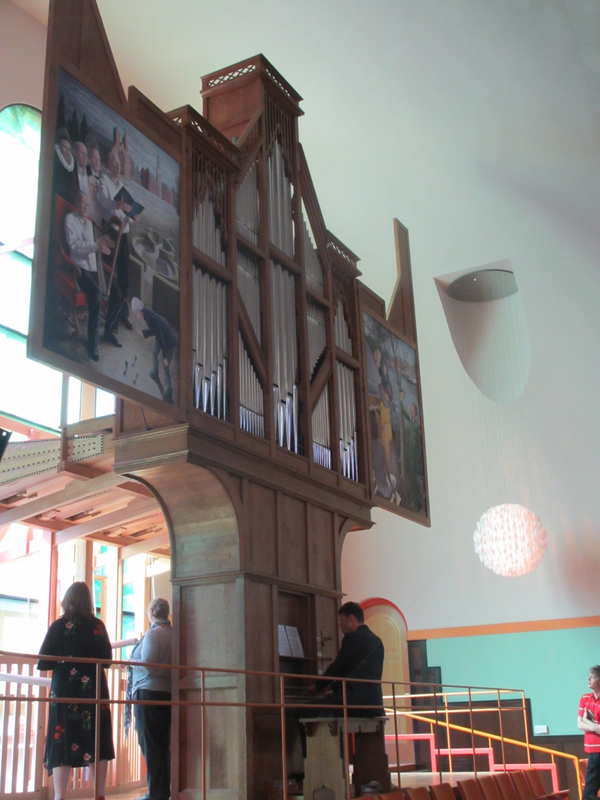 The most interesting site visit was to the Orgelpark in Amsterdam, an old church with a collection of playable organs, both reconstructions and originals. Pumping the bellows of a reconstruction of a fourteenth-century organ was a great experience, just like getting inside information on the production of pipes for a Baroque like organ, made in Germany, overseen by a Japanese specialist. Running a place like the Orgelpark requires a fine balance of experience in music and management. 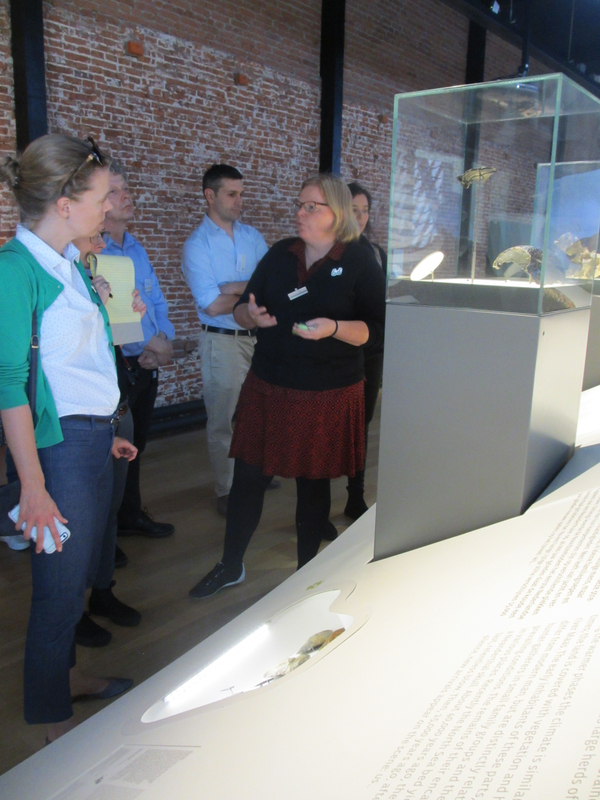 Following on this, we visited the University of Amsterdam archaeology department where Patricia Lulof and Loes Opgenhaffen shared examples of their work on archaeological digital models. These models with annotations can be read as a publication. 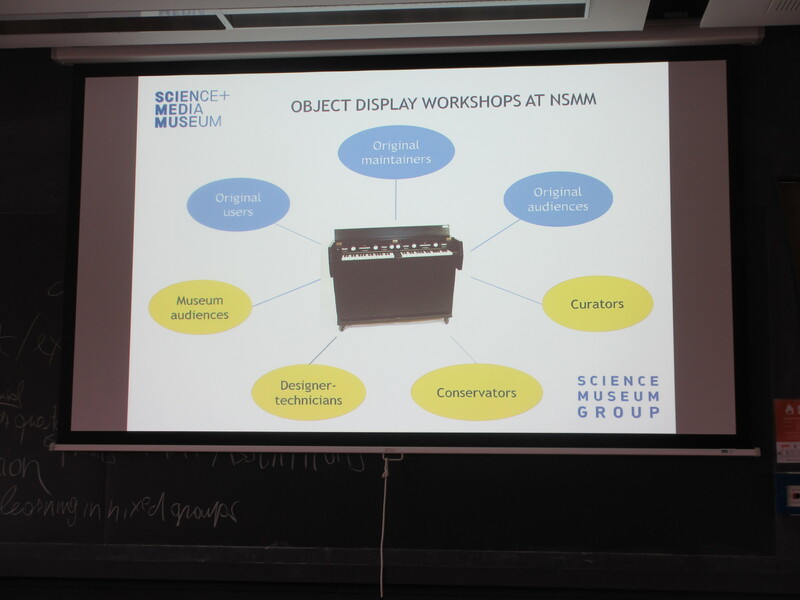 Most of their models are not made for presentation in a museum but to answer scientific questions. 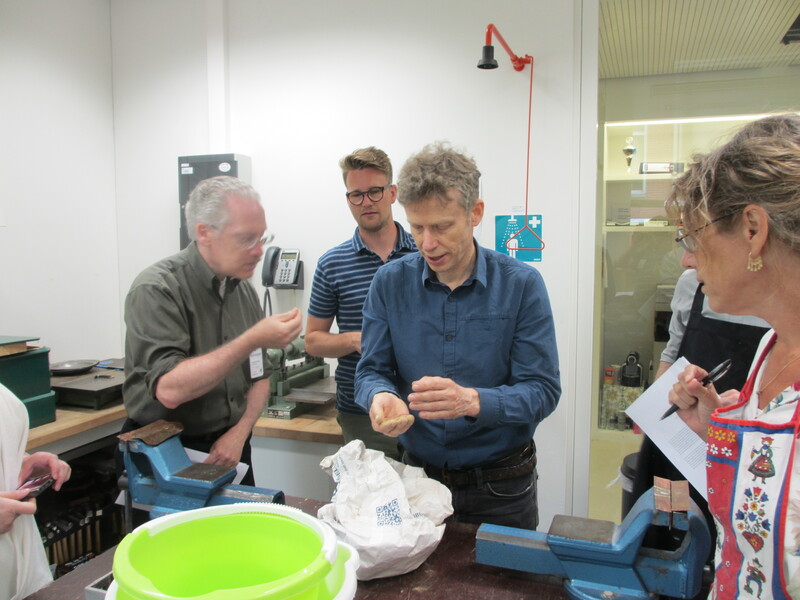 A special mention is needed for the workshop at the Rijksmuseum under guidance of Tonny Beentjes and Thijs Hagendijk on the reconstruction of functional reading in eighteenth-century education of gold-and silversmithing. 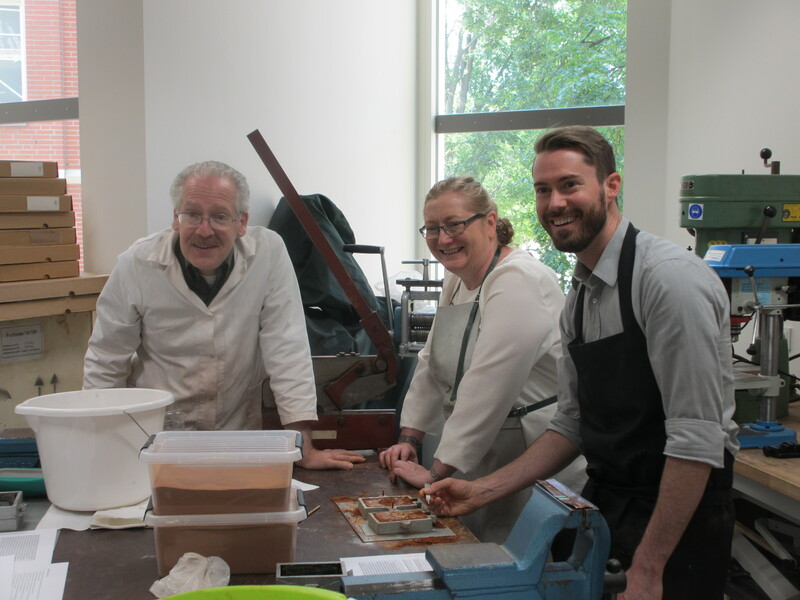 Delegates to the RRR workshop were given an eighteenth-century century description of casting metal using casting sand and casting flasks: what more does one need to successfully cast a simple object? Texts do not offer the tacit knowledge needed to fully understand a production process, although in hindsight, many important clues could be derived from it. The final keynote lecture, on the experimental history of science, was given by Otto Sibum. He derived this term from experimental archaeology. The method started as a way of teaching students and includes both building replicas of old experiments as well as performing experiments with replicas. It explores breakdowns, making sense of the knowing body of scientists. Authenticity however can never be achieved. This experimenting is an exploratory approach. The last boost of short presentations was about communicating RRR with the public. Tiemen Coquyt presented examples of education programs he had developed around historic experimentation. There is no need for originals in an exhibition if you want to get a story across. Roeland Paardekooper followed by explaining about experimental archaeology, archaeological open-air museums and how to use these two resources to reach out to the public effectively. Many delegates experienced incomprehension from their colleagues when discussing reconstructions but found common ground with other disciplines at the workshop in that all delegates combined a very practical approach with theoretical ponderings. RRR activities always provoke further questions. Models are not static and a new paradigm is needed to include these into research practice. The emphasis is not so much on the result, but much more on the process. Experimentation is a way to get access to embodied or tacit knowledge. Skill is not just handwork, but includes verbal knowledge as well as experience. One aim of the RRR workshop was to establish an interdisciplinary network of researchers employing re-enactment, replication and reconstruction. It was very valuable for all delegates to have stepped outside their comfort zone. A possible follow-up would be a more hands-on week including more makers and craftspeople. It is a possibility that more disciplines could be included. Obviously, there are other networks, which partly do the same, EXARC is one of those. Another network to keep an eye on is Instrumentum. They bring together scholars interested in crafts and industry in the ancient world, whether historians, archaeologists, ethnologists or economists, but unfortunately no craftspeople. Instrumentum works with the Iron Age, Greek and Roman periods of Europe and the Mediterranean.